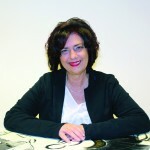 Coordinator of the Help Centers for Harassed workers of the Udine Province and CISL-Pordenone Municipality since 2007. Coordinator of the SOS Abusi Psicologici Help Center for psychological manipulation in groups, Udine. Expertise in cultic and manipulative groups. Member of RAN EXIT Group of the Radicalisation Awareness Network to tackle violent extremism.